﻿ Welcome to our web-site! We offer short-term courses with a certificate. We invite you to Doors Wide Open Day every Monday! 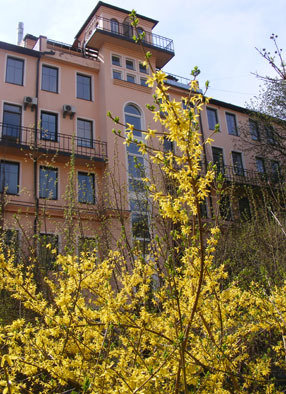 At 4 p.m. you can meet students and management in the main building at 65 Bruninieku Street. We will tell and show you how teaching situation is arranged, what is done to reach creative potential of every student and we will also give you a close look at coursework of our students. Come to see us and you will understand what distinguishes our International Higher School of Practical Psychology from other colleges. On the September 8-10, 2017 the Baltic Association for Psychological Counselling (Latvia, Riga, 65 Bruņinieku Str.) with the Center for Positive Psychotherapy in Baltic States organizes the International Conference "Metaphorization and transcultural approach in counselling and psychotherapy". The information about the conference see here. Why is the number 13 considered unlucky? Why does breaking a mirror bring you 7 years of bad luck? Why is it a sign of ill fortune when black cats cross your path? Please join us for fun on MONDAY. Do you have any interesting story to share? See you soon in our English Club! Bring a snack to share! OUR Address: Room 215, Bruninieku iela 65, Rīga. We would like to share this event with all interested people! Last club was about school and school stories ! You can read some here. If you want to find new abilities in yourself, to try to work with a group, to feel at home before a large audience – you should join our Game Club. If you want to know more about a game, its origin and purposes, do come at our Game Club. Game is a means of communication in childhood, game is a lifestyle of an adult, game is a second personality of every human being. How is it possible to use game in advertising? What is game in the course of study of new material? Can it be both developing and entertaining? Can a designer use game as a means of expression of his thoughts? If you want to know the answers to these and many other questions, if you want to try yourself for the role of a gamer and game creator – come to see us! Next meeting takes place in February. Track information! We are waiting for your crossing offers and ideas! Copies of certificates of centralized examinations (originals shall be produced), except for people qualified before 2004. Applicants with higher education shall submit to the Admission Committee both a higher education certificate (a diploma copy with its supplement) and secondary education certificate with academic transcript (copies and originals produced). When submitting document copies, the applicant needs to produce the document originals. Document copies are not returned. “Ab scientia ad sapientiam” from knowledge to wisdom.